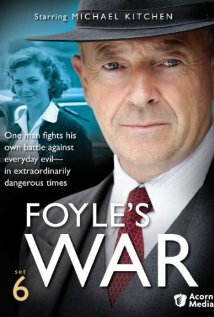 Plot: Detective Superintendent Christopher Foyle is too old to serve in the trenches, so when WWII breaks out he fights on the home-front in Hastings, making sure that in the time of war no murder goes unpunished. When the hot war ends and the cold one begins, Foyle joins the MI5. Pros: Beautifully written and intelligent; superb Michael Kitchen, and charming Honeysuckle Weeks (say her name a couple of times – it makes us giddy!). Cons: Irritatingly somewhere towards the end of the series, two of the actors playing love interests of the main characters are replaced by their more homely colleagues.